Did you know that store bought ketchup can be 25% sugar? You read that right. Instead of taking in that much sugar from a condiment, why not make your own homemade paleo ketchup so you can control the ingredients. A lot of people don’t realize just how much sugar is in a bottle of ketchup. Just take a look at the popular brands. Most will list high fructose corn syrup and corn syrup as primary ingredients. Of course sugar isn’t the only concern. The majority of corn is genetically modified organisms (GMOs) and it’s best to avoid GMOs in food whenever possible. Since GMOs are relatively new, there’s not a lot of data to see the big picture on health concerns. If you’re concerned about them, ditch the store bought ketchup and make this easy homemade paleo ketchup instead. The ingredients for the recipe are most likely already in your pantry and it takes no more than 30 minutes to prepare. So why not make an extra batch and store in a can or bottle for later use. The ingredients you need are water, tomato sauce, tomato paste, apple cider vinegar, sweetener, and onion powder. That’s it! The sweetener used in the recipe is coconut sugar. 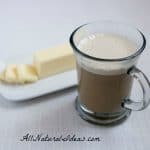 But for those watching carbs, you can use several drops of liquid stevia extract instead. These are common foods you probably already have in the kitchen. So why spend money on pre-made ketchup that’s loaded with sugar? 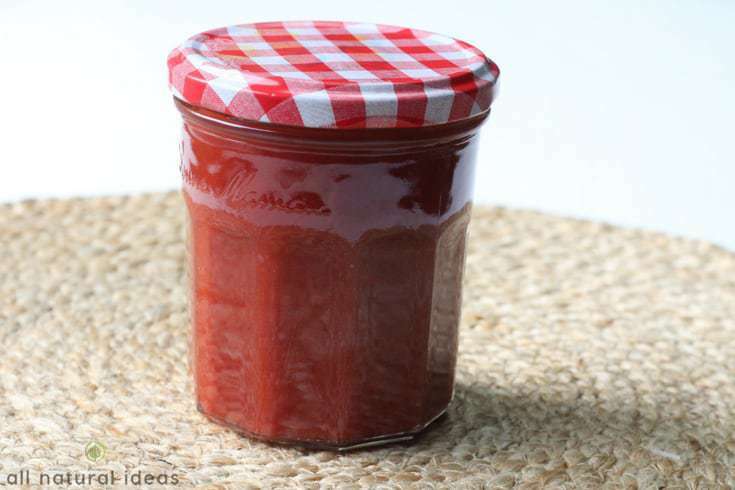 To make the simple homemade paleo ketchup, just mix all the ingredients together in a pot. Then, you’ll heat over low heat until smooth and reduced. The cooking time is around 20 minutes depending on the size batch that you are making. If desired, you can allow the mixture to cool before storing in a bottle or can. 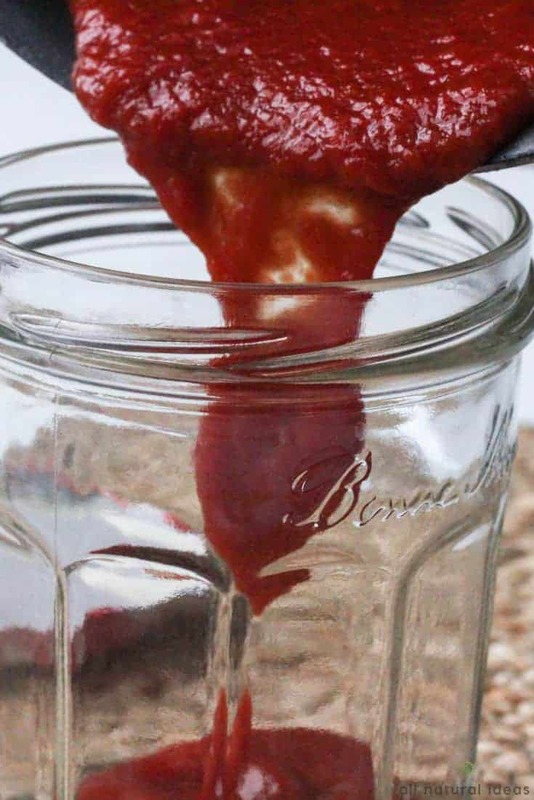 If you are into canning, this is a great recipe that you can vacuum seal in your canning jars. However, if you aren’t vacuum sealing, you’ll want to keep the ketchup in the refrigerator so it doesn’t spoil. 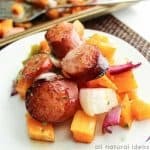 All ingredients used in the recipe are natural and paleo friendly. But be sure to use organic if you want to avoid GMOs and conventional pesticides. 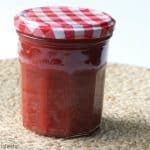 This makes it the best homemade paleo ketchup! It keeps well in the refrigerator too so you won’t have to worry about it going bad soon. And, a couple of tablespoons of apple cider vinegar are sure to help reinforce your family’s immune system! This paleo friendly ketchup is perfect as a dip or as a sauce topping for other dishes. 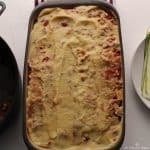 It is also great for dipping and as a topping for meatballs or zucchini noodles. 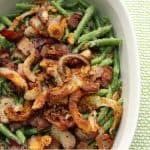 You can make it even healthier by adding more vegetables into the mix. There’s no reason why you need to keep it strictly tomatoes which are a fruit anyway. If you want to add more vegetables, grate or shred the vegetables beforehand then add them into the mixture while it cooks. 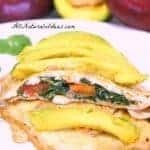 Many low carb vegetables work well in the recipe. 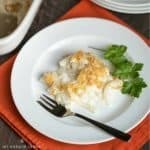 So experiment with your own variations of the recipe to see what flavors and texture you like best. There’s no reason why you have to stick to the same way each time! For a smoother sauce, we recommend using a stick blender. 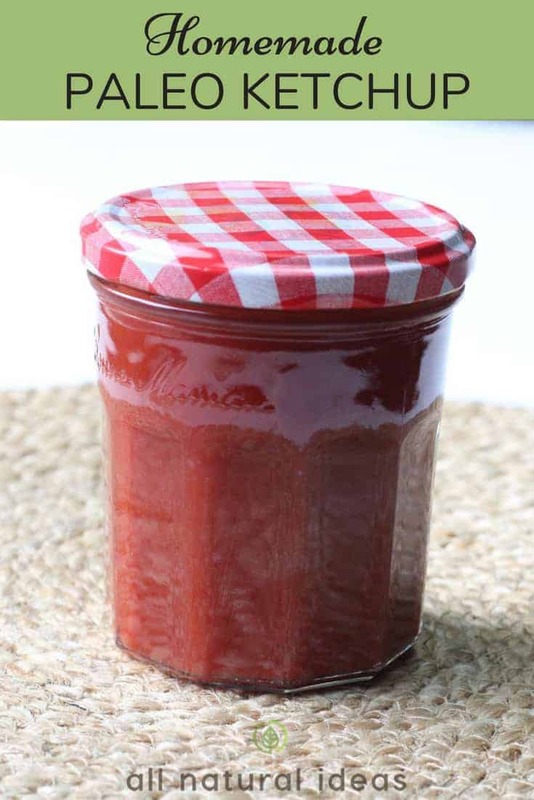 And, if you want to spice it up, try the homemade sugar free ketchup recipe at Low Carb Yum which uses a fantastic spice blend. We hope you give this recipe a try. It’s really basic so we encourage you to add in your own spin to it. However, the next time the ketchup bottle is empty at home, don’t run out to the store. And, you don’t want to fill your body with all that sugar anyway! Just use simple ingredients from your own pantry to make this homemade recipe instead. Store bought ketchup can contain 25% sugar. So why not make your own homemade so you can control the ingredients. In a pot, mix all the ingredients together. Heat over low heat until smooth and reduced. This will take more or less 20 minutes. Move the ketchup into a can or bottle then refrigerate. 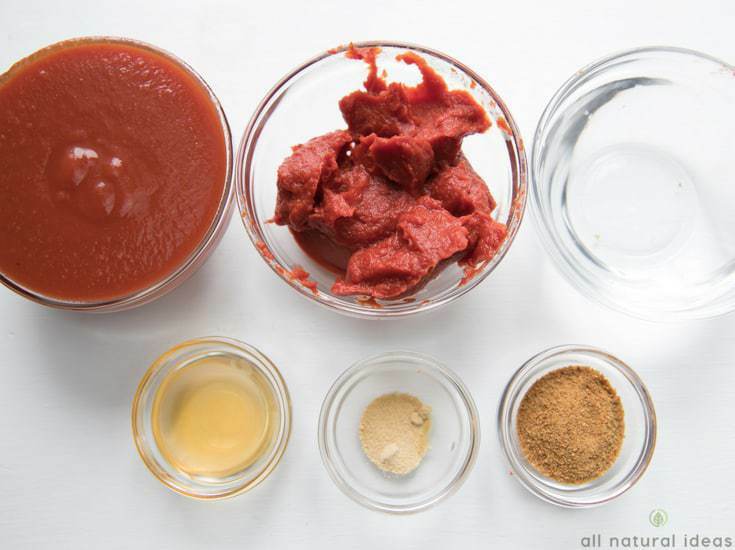 Make this homemade paleo ketchup healthier by sneaking in other vegetables aside from tomato. Aside from being used as a dip, this ketchup can also be used as a topping to meatballs or vegetable noodles. If you want to add more vegetables, grate or shred the vegetables beforehand then add them into the mixture while it cooks. 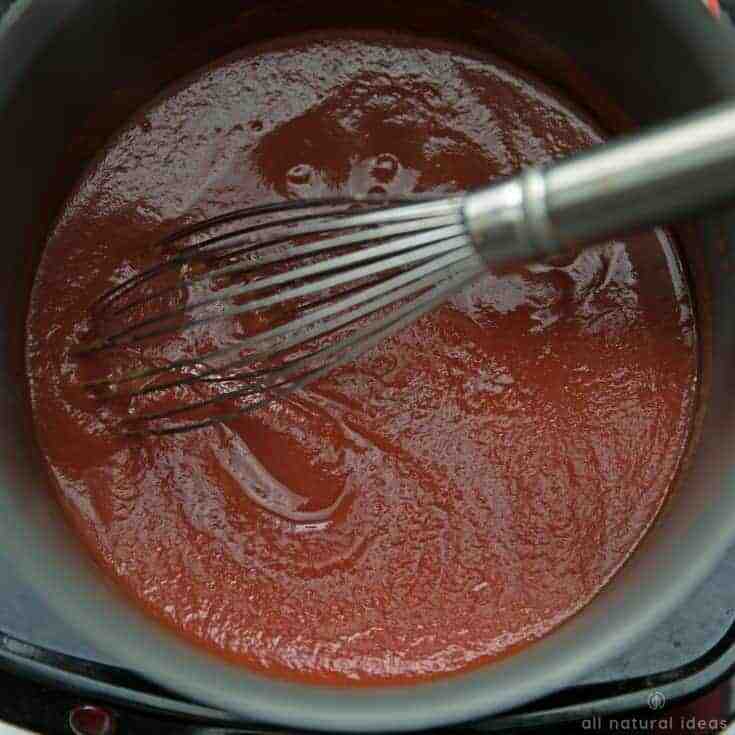 For a smoother sauce, use a stick blender. Thank you for the receipe for the ketchup. I have always wanted to know the ingredients for Ketchup. Now I think will try it.